But, it turns out he did a huge NO-NO, and broke the unwritten Bachelor rule – and told TWO women that he loved them. 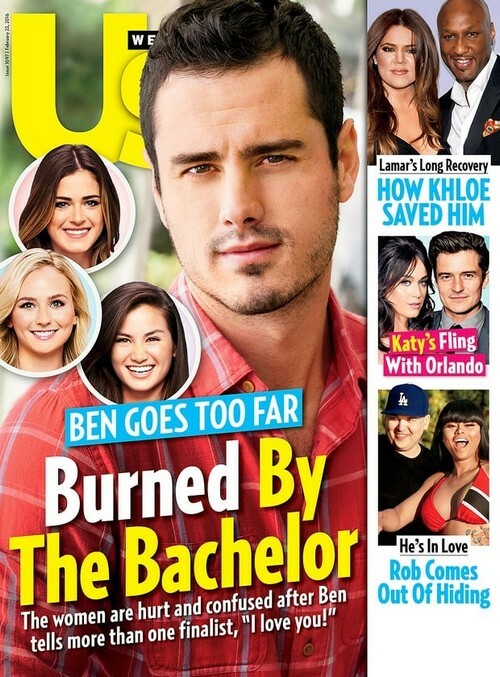 Obviously, after both women heard Ben Higgins profess his love to them, they both were certain they were getting a wedding proposal, but one of them was sent home confused, heartbroken, and dumped. It really is funny that literally overnight Ben Higgins went from the sweetest man on reality TV, to a cold-blooded heart-breaker. Ben is constantly being compared to previous Bachelors. Juan Pablo and Chris Soules may have been total tools, but even they didn’t tell a woman they were in love with her and then dump her on national television and propose to someone else. According to US Weekly Magazine, the runner-up who was sent home without a Neil Lane engagement ring after the final rose ceremony did not take the break-up well. Seriously, who could blame her? After dumping her, Ben tried to smooth things over with the Season 20 loser – but it was no use, she was crushed. So, do you think that Ben Higgins might not be the most perfect Bachelor after all? Did he cross a line? Or should the women have all braced themselves a little better for something like this – after all they did sign on to a show where they were sharing one man with two dozen women? Let us know what you think in the comments below and get your Bachelor fix here! The Bachelor 2016 Ben Higgins Engaged To Wrong Woman, Lauren Bushnell – Regrets Final Rose Winner, Misses JoJo Fletcher? Who Won The Bachelor 2016 Spoilers: Lauren Bushnell or Jojo Fletcher Win, Engaged to Ben Higgins – Reality Steve Wrong on Fiancee? Who Won The Bachelor 2016 Spoilers: Ben Higgins In Love With Two Girls Puts Season 20 Winner In Doubt – Engagement Off?